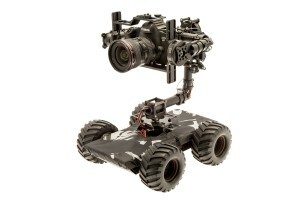 The new BeetleCam Hybrid combines the BeetleCam Classic base with remote-control copter technology. This has resulted in a BeetleCam with an advanced gyro-stabilised camera gimbal. 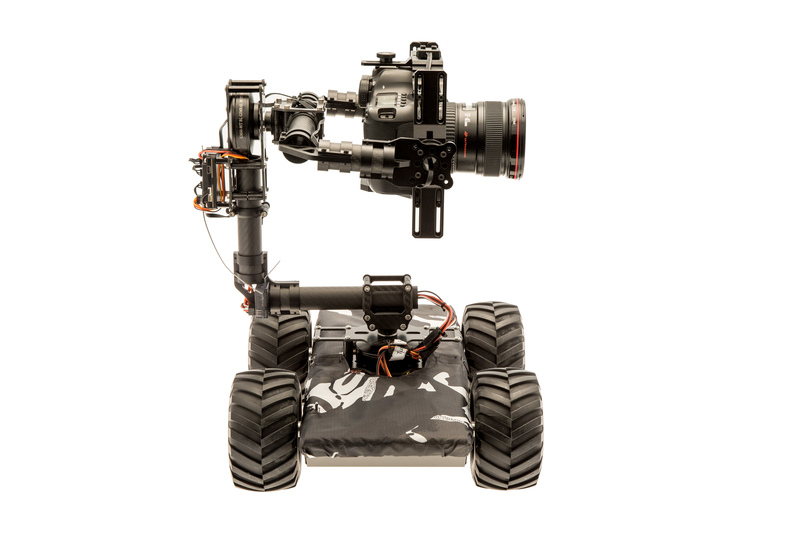 Three-axis stabilised camera gimbal so the camera stays level on uneven surfaces. 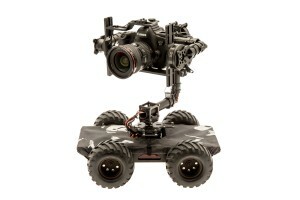 Control the camera pan and tilt remotely. 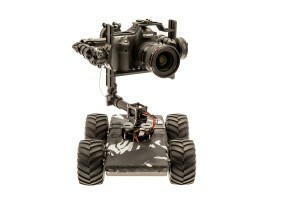 Smooth pan and tilt motion for fluid video footage. Powerful four-wheel drive for tackling challenging terrain. Remote-control range of more than 500m. 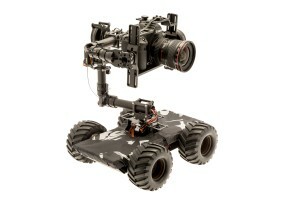 High capacity rechargeable battery easily lasts a day of shooting. Excellent manoeuvrability with the ability to rotate on the spot. The gimbal is very quiet, allowing for unobtrusive operation. Wireless live view options available. Option to have independent controllers for camera and BeetleCam operators. Can be used with cameras up to the size of a Canon 5D MkIII / Nikon D800 with a wide-angle lens.